In many circles, Lyotard is celebrated as the postmodern theorist par excellence.1 His book The Postmodern Condition (1984a; orig. 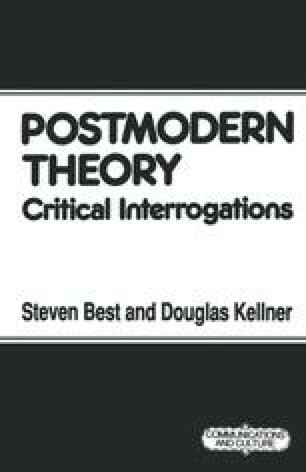 1979) introduced the term to a broad public and has been widely discussed in the postmodern debates of the last decade. During this period, Lyotard has published a series of books which promote postmodern positions in theory, ethics, politics, and aesthetics. More than almost anyone, Lyotard has championed a break with modern theory and methods, while popularizing and disseminating postmodern alternatives. As a result, his work sparked a series of intense controversies that we address in this and the following chapters.